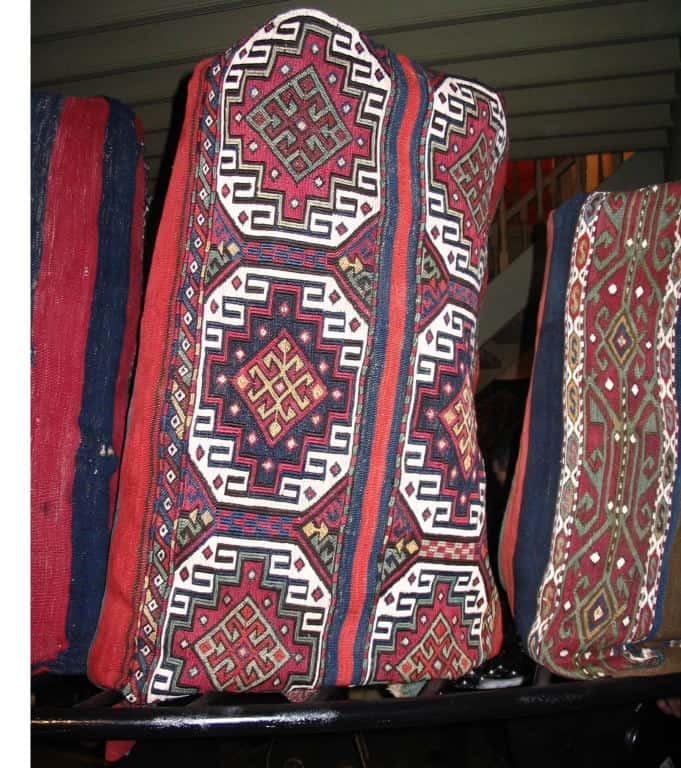 At ICOC Eleven, there were several compelling exhibitions with absolute blockbuster content, but my favorite was the comparatively modest Josephine Powell show of rural Anatolian flatweaves and storage bags, plus Josephine’s excellent ethnographic photographs. 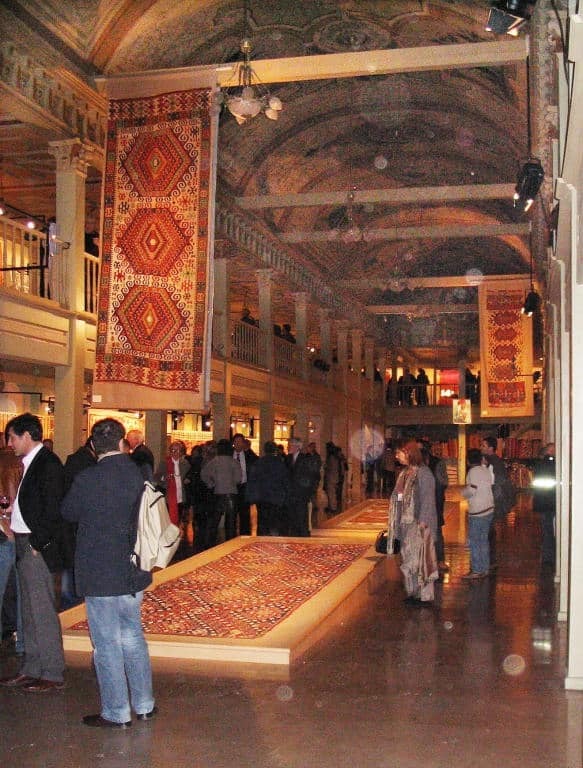 Yes, the pieces were wonderful, well conserved, mounted, and lighted, set up in an old palace with a two story arcade which fit the scale of the material on display. 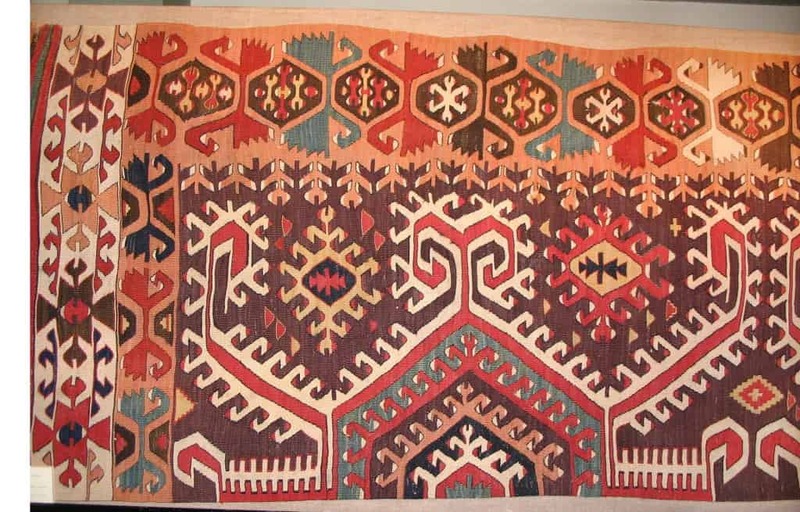 But the real spark was supplied by the late Josephine herself, an ethnographer and photographer of some talent, who lived in Istanbul and was admired by all who knew her. She visited rural nomad encampments and villages in her van and between the late 1970’s and the 90’s, and collected the pieces we saw at the Yildiz Palace. 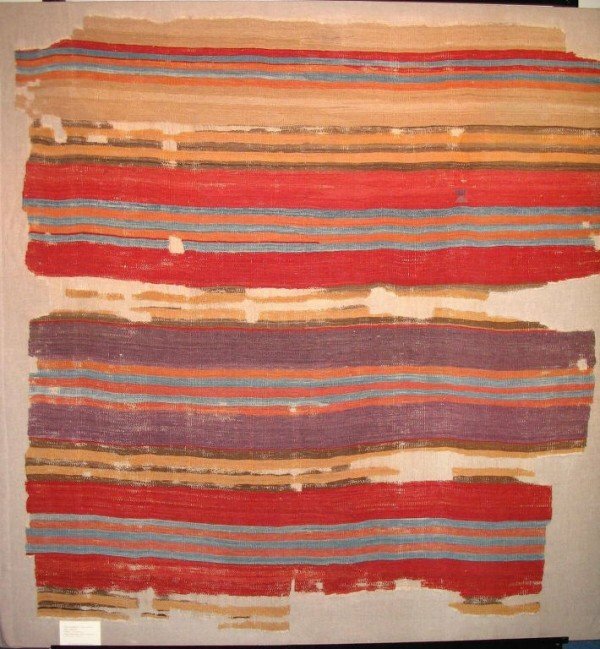 Absolute color, color harmony and artful design were her drivers. The collection is well documented with her insightful text in “Giving Back The Colors” and an equally good companion catalogue, “Examples from Kilims”. Both catalogues are soft-cover, well designed, and have good color reproductions.What follows are images of pieces I liked; sometimes they are only details, which give the best idea of color and basic design. Many of the flatweaves are fragmented. 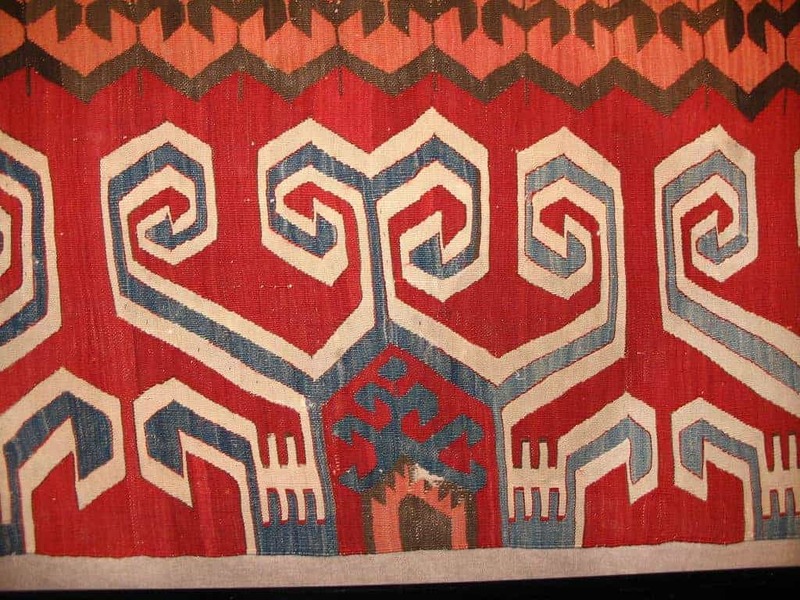 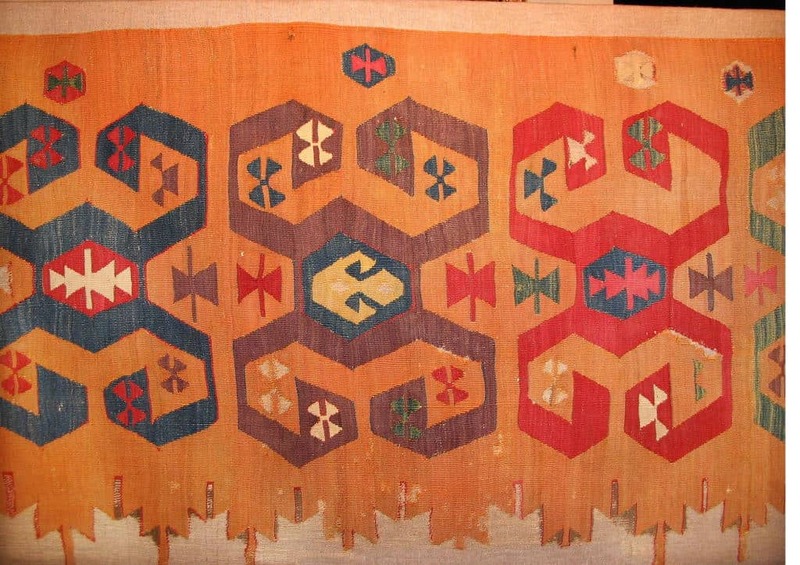 Detail, kilim from south central Anatolia. 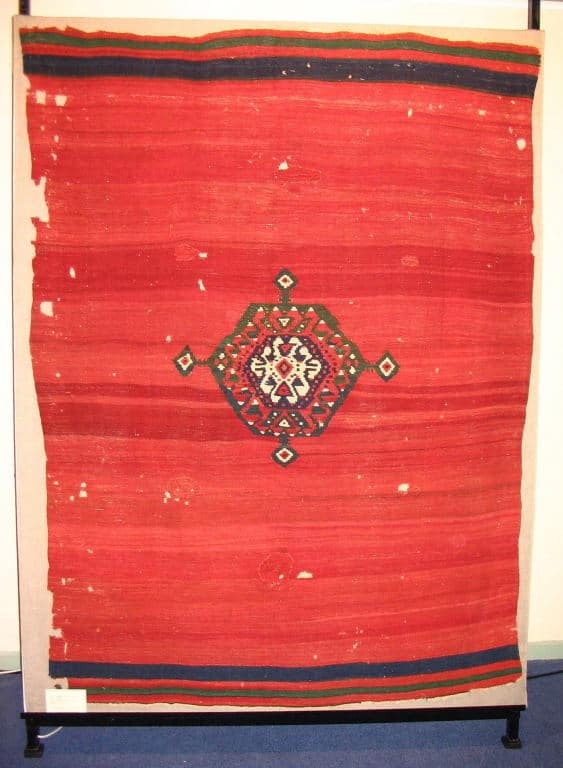 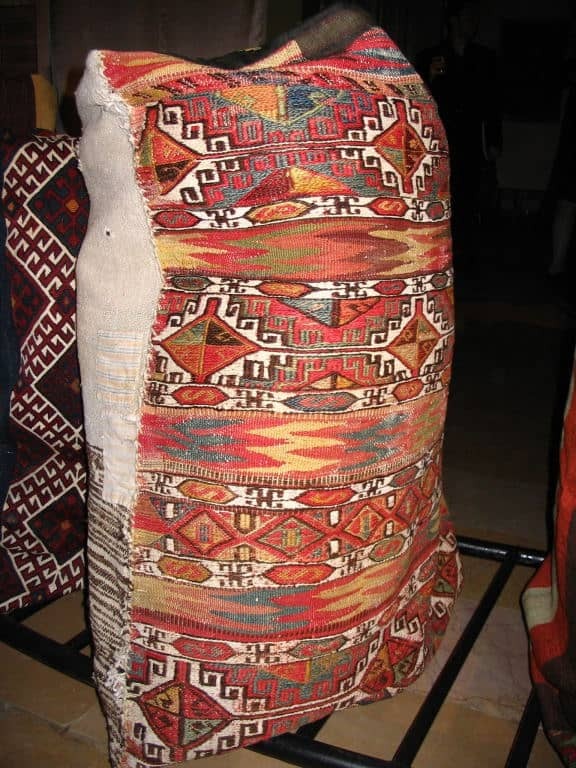 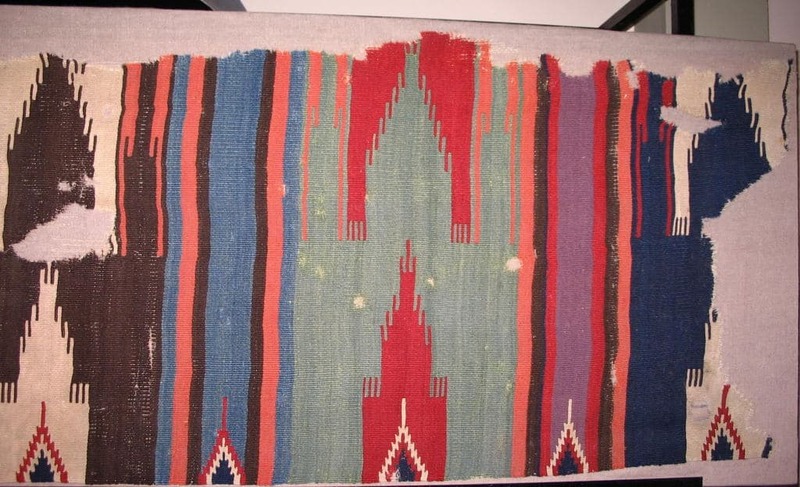 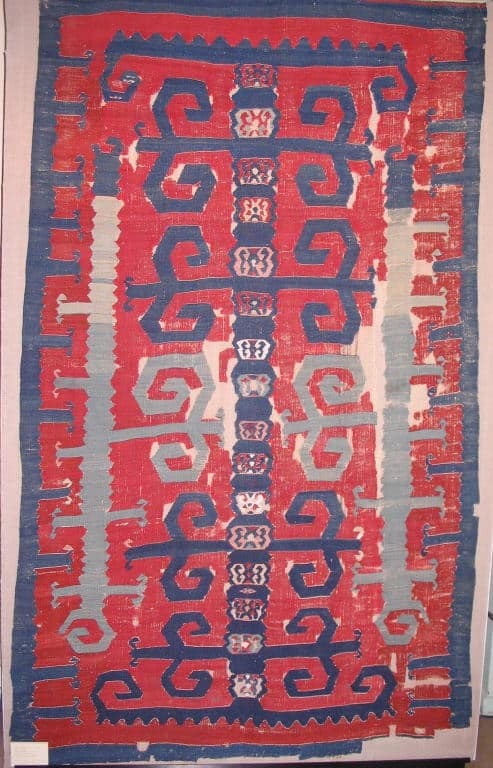 Anatolian slit-tapestry kilims were the quickest pieces for nomads to weave, but were the hardest to get right. Detail, kilim half from central Anatolia. 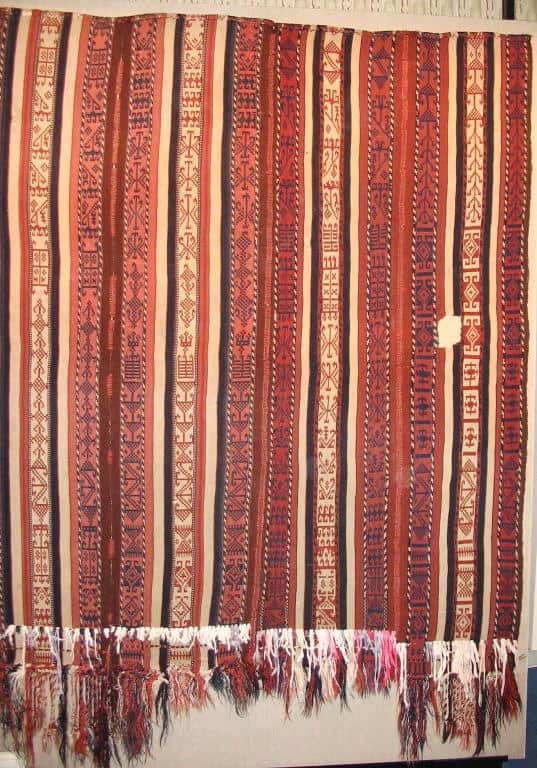 The magic colors in kilims like this one are aubergine and salmon.